How to speak with confidence in conference calls in English, presents us with new opportunities to develop new skills. 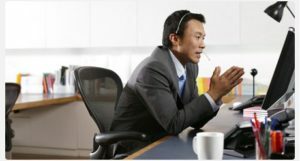 Conference calls in Zoom , Adobe Connect and Skype are popular to bring country offices closer. And it can feel intimidating without practice. define your conference call outcome (goal) in 1 sentence. For example, what do you want people to do after the conference call? get used to hearing your voice by recording yourself when presenting (several times) and listening to the recordings.